Chinaworker.info – How bad is China’s debt crisis? How bad is China’s debt crisis? 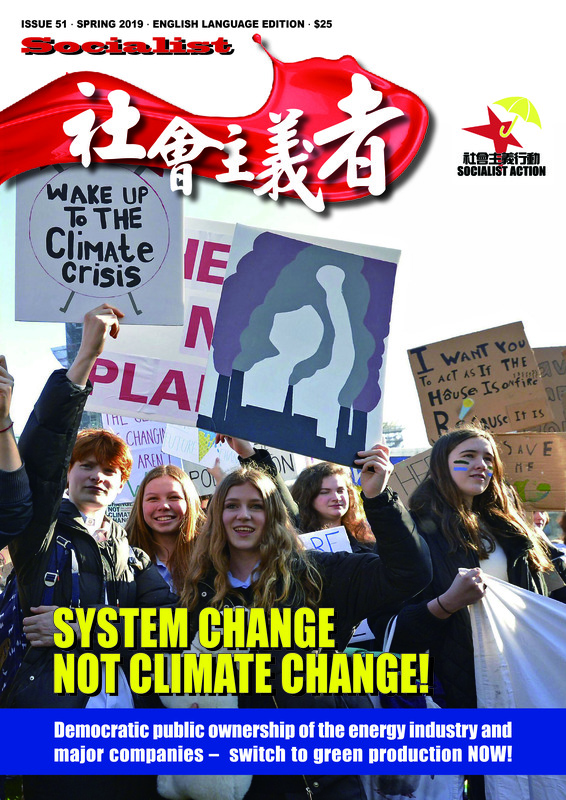 Socialist magazine (published by the Chinese section of the CWI) asked Vincent Kolo, senior editor of chinaworker.info, about rising levels of debt in China and whether this heralds a financial collapse? Socialist magazine: How serious are China’s debt problems? Vincent Kolo: A recent Bloomberg report says China’s economy has become a “credit junkie”. The growth of the shadow banking sector in particular is a sign of rapidly rising financial risks. Total loans in China, including the growing share from shadow banking, climbed to 190 percent of GDP in 2012, up from 124 percent in 2008. This is a bigger and faster credit expansion than in the US in the run-up to the subprime crisis, or Japan prior to its property crash in 1990. A lot of the new debt is concentrated in the local government sector, which bore the main financial burden of the giant stimulus programme of 2009-10. But the property sector is another high-risk area, with extreme overbuilding and highly indebted real estate companies. 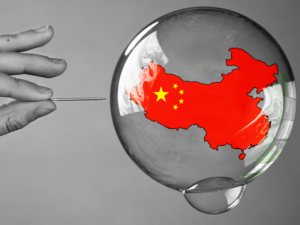 China’s housing bubble is the biggest in world history and a significant drop in prices – inevitable sooner or later – can unleash a tsunami of company failures and loan defaults. China’s banking system is quite unique, because of the degree of state ownership. But the trend is for more and more banking business to go ‘off balance sheet’ into a multitude of shadow finance entities, trust companies, and so on. Loans within the traditional banking sector fell to just 58 percent of all financing last year, from 95 percent in 2002. So, more than 40 percent of all credit nowadays is non-bank lending, from this complex and unregulated shadow financial system. Senior figures such as Xiao Gang, former chairman of Bank of China who was recently promoted to head of the main regulatory watchdog CSRC, have warned of a potential “Ponzi scheme” in these developments. He was especially referring to the growth of so-called wealth management products (WMPs), which have gone viral in the last 3-4 years, since the stimulus programme. The value of outstanding WMPs rose to 13 trillion RMB (US$2.1 trillion), or 16 percent of total bank deposits in 2012, which is an increase of 50 percent from 2011. These are risky financial instruments that hardly anybody really understands. So, you get that déjà vu feeling, remembering how this sort of financial hocus pocus became rampant in the US a decade ago, prior to the banking collapse of 2008. Why has the issuance of wealth management products taken off in this way? There are several reasons, but a key element is that the banks themselves are driving this process, as in the US, except of course in China we’re talking about state-owned banks. This is not just the case with WMPs, but also corporate bonds, entrusted loans, and all sorts of new-fangled financial instruments, which have proliferated. The banks want to maintain the high profit rate of recent years, and to get bad loans off their books, especially loans to local governments. The growth of WMPs is a way to get around government lending limits and to extend fresh credit to shaky local government entities that otherwise wouldn’t be able to meet their debt repayments. The debts from the 2009-10 period are being rolled over in this way, to prevent a wave of defaults that could trigger a full-blown banking crisis. We hear a lot about the shadow banking sector, what does this mean? The term shadow banking covers a range of different entities including hedge funds, bond insurers, trusts and wealth management firms. What they have in common is they’re outside the mainstream banking system. Some are illegal, but those are a minority; and in China it’s the big state-owned banks and even non-financial state-owned enterprises (SOEs) that are pulling the strings. In this way, they can engage in activity that is banned by the government and regulatory agencies, to hide risky loans and increase profits. We’ve seen this sort of sleight of hand in other countries, prior to major banking crises. 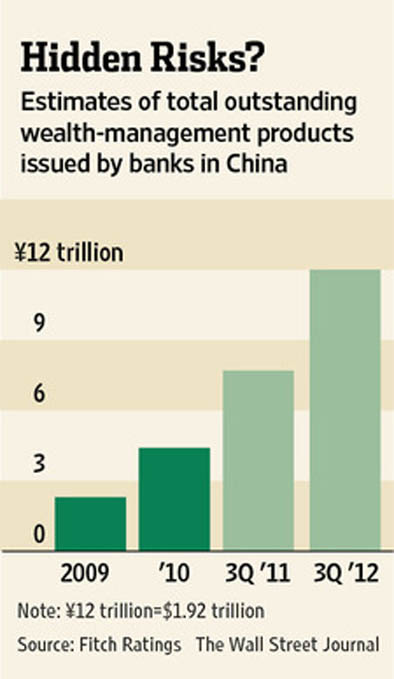 The growth of shadow banking, like most things in China, has been extremely rapid. According to the central bank, this sector now has total assets (loans in other words) worth 30 trillion yuan (USD $4.8 trillion). That’s equivalent to 58 percent of GDP. There are many cases of state-owned banks doing deals through trust companies that are really just a front for the banks themselves. Again, this keeps the dodgy loans off their books. SOEs have set up unauthorised banking arms to borrow at cheap rates from the state banks and then lend to other companies at a higher rate of interest. Because they are not banks, this activity is unregulated. SOEs do this to recoup profits, because with huge levels of overcapacity in industry many are losing money in their core businesses. So, a much bigger share of loans is being routed through this uncontrolled shadow finance sector, spreading the financial risks through the economy. The banks are offloading risky loans with the left hand, but taking on more with the right hand. Banks are the biggest buyers of corporate debt, a lot of which is now being issued by the local government financial vehicles (LGFVs), which are ineligible for new bank credit under central government tightening measures. Another thing about the shadow banking sector is that interest rates are of course much higher, up to 100 percent in some cases. So, what we’re also witnessing is a backdoor liberalisation of interest rates. The central bank sets the official rate, which is binding on the banks, but to get around this they go ‘off-balance sheet’, at higher rates of interest. You say the local governments have built up a lot of debt, how has this been possible? Back in 2008, fearing the impact of the global capitalist crisis, the central government launched its huge stimulus package and gave banks the green light to increase loans. Local governments, which are banned by law from taking loans, were allowed to get around this by setting up their own finance vehicles (LGFVs) – thousands of them – to tap into this credit boom and build infrastructure. The checks by the banks were poor or non-existent; many local governments were already in a financial mess, and a lot of this investment was wasted, stolen, or went into property speculation, ‘ghost cities’, ‘ghost malls’, and so on. Of course there is no democratic accountability of local governments, not even the very cursory public scrutiny or control that applies in the capitalist West. The government’s auditors put the combined local government debt at 10.7 trillion yuan in 2010, around 25 percent of GDP at that time. 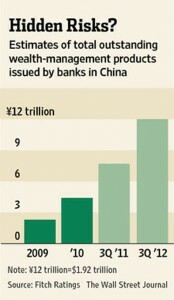 Beijing’s bank regulators claim the problem is “under control” and not growing. But this is because so much of the debt has been shuffled under the radar, so to speak, into the shadow banking system where it cannot reliably be measured. I recently saw data from Liu Yuhui of the Chinese Academy of Social Sciences, putting the real level of local government debt at 13 to 14 trillion yuan (US$2 to 2.2 trillion). I’ve seen higher estimates. The interest repayments on the local government debt are between 700 and 800 billion yuan every year. The stimulus 2009-10 loans began to fall due last year, but a lot of the infrastructure projects are either unfinished or have not recouped enough income to pay back the loans. Proceeds from land sales, which at the height of the stimulus package generated about 40 percent of local government income, have also fallen sharply. Last year, land sales fell by 14 percent, because overcapacity in the housing market has reached crisis levels. Some local governments are now extremely indebted. Hubei province, for example, has a debt-to-fiscal revenue ratio of 181 percent. In Jilin it is 171 percent. The banks are rolling over most local government debt, around 40 percent of which fell due last year. Old loans are being serviced by issuing fresh loans, but not from the banks’ own balance sheets. Trust companies acting for local government entities are repackaging the old debts as ‘investments’ – as WMPs – most of which are short-duration, so it’s very much a case of buying time. This is also what Xiao Gang meant by “Ponzi Scheme” – it’s a scam whereby money from new entrants goes to make payments to older investors. It has to keep expanding, pulling in new investors, or it collapses, which at some point is inevitable. The central government has issued warnings and is struggling to get control over this process, because some local government financial platforms are throwing hospitals, schools and other public assets into these financial ‘products’ to make them more attractive to investors. Investors ask, ‘what am I actually buying into here?’ – they want to see some physical assets. So, it’s a form of backdoor privatisation. There are several factors that could trigger a financial crisis. In December, Huaxia bank in Shanghai, a middle-sized bank with Deutsche Bank as part-owner, faced protests in the streets after a WMP it had sold defaulted, losing the depositors around US$22 million. Some big noises within the financial sector, such as China International Capital Corporation, said the government should do nothing – to show it won’t step in to rescue the WMPs, which after all are largely a private business, not guaranteed by banks. 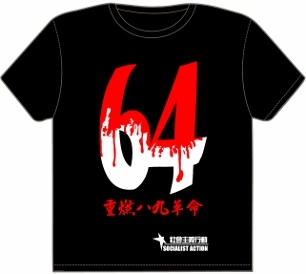 But the government did step in, behind the scenes, to prevent the Huaxia affair triggering a run on the WMP sector as a whole, because as we’ve already noted it now accounts for around 16 percent of total bank deposits. Not only could a run on WMPs trigger a wider banking crisis, but even if sales of new WMPs were to dry up, with investors growing wary, this could cause a ‘liquidity crunch’ for local governments and property companies which need to rollover old debts. This is the dilemma for the government. The shadow banks and regular banks are no longer isolated from each other, they have grown into each other, which is something it cannot really control. Has China’s economy successfully avoided a hard landing? This is what the government and a significant sector of the global ‘market’ – meaning the banks and speculators – are telling us. I think we must distinguish between short-term and longer-term developments. To prevent a serious economic crunch, or hard landing, that threatened to massively complicate the power transition last year, the Chinese regime reverted to its traditional policies of credit-driven growth, particularly infrastructure and construction. This did add more ‘juice’ to the economy, with a pick up in GDP in the fourth quarter, to 7.9 percent, after seven successive quarters of falling growth. The year still ended on its lowest growth since 1999. There is also a lot of debate about whether the official GDP figures give a true picture. There was the story of the ‘phantom province’ – because the sum of all local government GDP statistics was a whole ‘Guangdong’ bigger than the central government statistics for national GDP. Last year’s electricity consumption grew by just 5.5 percent, which may be a more accurate indicator of economic performance. Using similar methodology, Standard Chartered’s Stephen Green published a report recently that challenges the last two year’s of official GDP data. Green’s estimates cut about two percentage points from GDP growth for 2011 and 2012. But the mini-stimulus ordered last summer clearly had an effect in the short-term. This entailed fast-tracking previously agreed infrastructure projects like new high-speed rail lines, subway lines and the social housing programme, at a cost of about 940 billion yuan (US$150 billion). But like the much bigger 2009-10 programme, this new spending, because of the way it was done, will exacerbate the longer-term problems for the economy. Investment’s share of total GDP was 50 percent in 2011 and increased further last year. This is up from an already high rate of 41 percent before the crisis. Such a high level of investment is historically unprecedented. As ex-premier Wen Jiabao famously said it is “unsustainable”. Yet despite this, faced with a crisis, the regime decided to kick the can down the road, as other governments are doing worldwide. Each time it does this, however, its scope for further big stimulus measures inevitably crimps – because of the debt overhang and extreme levels of overcapacity. It’s estimated that one-third of China’s industry is idle, on average; while in certain industries the figure is closer to half. The capacity utilisation rate in 2012 was lower even than in the crisis year of 2008. The worst hit industries include steel, telecoms, shipbuilding, aluminium and construction machinery, which have all seen incredible expansion over the past decade. The telecom industry is preparing big investments in 4G technology, yet only around a third of the 3G network is being used. In China, the competition between provinces and localities, divorced from any national plan, amplifies the problem of overcapacity and overinvestment. Provinces frequently defy Beijing when it orders them not to build a new aluminium smelter or steelworks. The smallest plants and factories are the first to be axed when industries are told to consolidate, so local governments encourage grand projects, regardless of real demand, under the rule ‘survival of the biggest’. This explains why there has been nine consecutive months of producer price deflation – falling prices at the factory gate. Capacity vastly outstrips demand and so companies are forced to cut prices to clear their stocks. At the same time, paradoxically, you’ve got the return of consumer price inflation, particularly for food and fuel. But isn’t infrastructure spending a positive? Aren’t we socialists in favour? Sure, in a society where the means of production are owned and controlled by the working class, democratically, through a balanced and coordinated economic plan, then there would be a real need to invest in socially useful and environmentally sustainable infrastructure: low carbon transport systems, new schools, hospitals, affordable public housing and so on. But this is not what is happening in China. A huge share of the infrastructure spending has gone into financial speculation, mainly in real estate, but also in raw materials. More than 800,000 tons of copper is hoarded at bonded warehouses, according to French bank Societe Generale, because copper and other metals are used as collateral for bank loans. In the property sector overinvestment and overbuilding are obvious. Real estate investment reached 13.8 percent of GDP last year, compared to just 6 percent in the US at the height of its housing bubble in 2006. Last year in China, houses under construction were 4.2 times the level of home sales. This is not because there is no demand for houses of course, but because ordinary people cannot afford today’s off-the-chart prices. In Beijing the average price of an apartment stood at 25,075 yuan per square metre in January this year, set against an average yearly income of 24,564 yuan for urban Chinese in 2012. Prices have been driven up by the speculators, which again means the banks, local governments and motley private profiteers, all of whom gain from higher property prices. That is until the bubble bursts, which it must do. We read every week of new scandals involving local officials and even police chiefs, who have used fake ‘hukou’ papers to buy up dozens of homes as speculation objects. In one recent case Zhao Haibin, an official in Guangdong, was found to own 192 properties. Those who get exposed are sacked, but this is just the tip of the iceberg. The housing situation is a political time bomb. This is why the government tried to clamp down on house prices in 2010. But its policy shift last summer, with a new credit splurge to avert a hard landing, has further inflated the housing bubble. A new team of leaders is in charge. What do they plan to do about these economic problems? I think they are limited as to what they can do. There is a lot of talk about economic rebalancing – towards more consumption. Similarly, there is a lot of talk about a new burst of liberal i.e. pro-capitalist economic reform (not to be confused with political change, which they don’t want). The new leaders, Xi Jinping and Li Keqiang especially, stand for the type of measures outlined in the World Bank’s dossier launched last year (China 2030: Building a Modern, Harmonious, and Creative High-Income Society), which was co-authored by Li’s ministry and calls for sweeping privatisations and marketisation. We should remember that the World Bank and its sister organisation the IMF bear as much guilt as anyone for the global financial crisis. But regardless of what the new leaders want, there are in-built mechanisms within China’s state structures and in the current low-wage economic model that block change. This suggests that any new ‘reforms’ will be drawn out and subject to endless toing-and-froing. The dictatorship is split at the top and new factional infighting can erupt over these issues in the coming period. They plan to ‘liberalise’ the financial sector, interest rates and so on, ostensibly to make the allocation of capital more ‘efficient’, to cut back on wasteful investment. This means formalising the shadow banking sector – ‘freeing’ the mainstream banks to engage in this sort of thing legally. The regime wants to internationalise the yuan (or renminbi) and has made significant moves to increase the offshore trade in the Chinese currency, through ‘swap lines’ with foreign banks – most recently the Bank of England. They want to break out of their current dollar dependency, which forces China to subsidise, by virtue of its outsized dollar holdings, the policies of Obama and the Fed, ‘QE’ (quantitative easing) in particular. This damages China’s economy in several ways, through sucking in ‘US-made’ inflation, and by increasing upward pressure on the yuan. The central bank is then forced into expensive interventions to prevent the currency rising further, which would be bad news for the already strained export sector. In the past ten years these interventions have cost the Chinese government over US$270 billion. This is one front in the unfolding global ‘currency war’, with all the main powers trying to escape the crisis at each other’s expense. But to turn the yuan into a major international currency means removing exchange controls, which, as things stand today, would very likely trigger a financial collapse. So, in addition to splits within the regime, there are major risks in implementing the leadership’s liberal – actually neo-liberal – agenda. At the same time, the current position, with rising overinvestment and debt, is also “unsustainable” as Wen says. So, it’s as if they can’t move, but at the same time they don’t have the luxury of standing still. We are thankfully not in the position of giving advice to the Chinese dictatorship. We seek its removal through revolutionary mass struggle for socialism. This is the only solution to the economic crisis in China and internationally: to lay hold of the gigantic economic resources that the current system is driving to ruin on a world scale, and through democratic socialist planning, with the working class building its own government, using these resources not to enrich a tiny minority but to end unemployment, inequality and oppression.